Raw Collective are celebrating their brand new release ‘From Montreal to Welly', the collaboration album with Canadian producer ‘Ghostnaut'. Reggae legend ‘Israel Starr’ will be warming up the crowd and performing with the band... And yes, DJ Pleez running the night on the decks! Two big acts, new line up, new tracks... Best show yet! 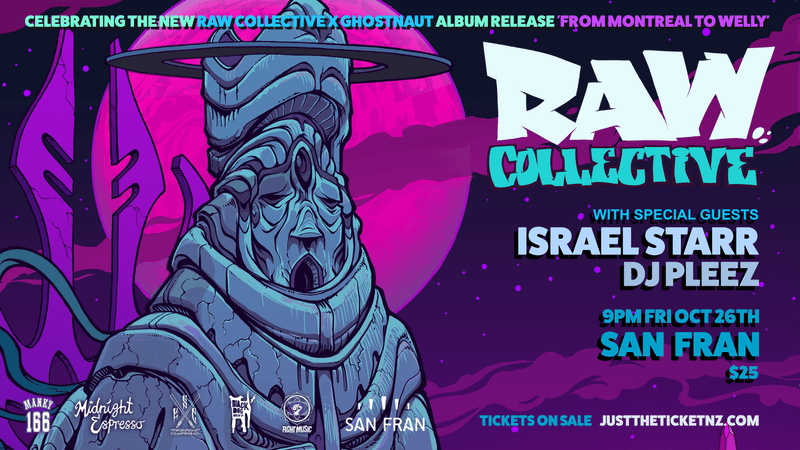 Last chance to catch Raw Collective in Wellington this year!